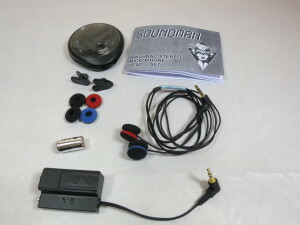 A couple months back we ordered a Soundman OKM II Binaural Microphone and a Soundman Dummy Head. It all arrived fairly quickly considering it came all the way from Germany and of course as soon as it did, we put it through it’s paces. So far, so good…we are liking it a lot and it does a great job of recording binaural sounds. Now, we are no audio tech experts so all we can give you in this review are our opinions. All we know is what we can hear and to us the sound is great for ASMR videos. It creates a really cool ear-to-ear panning effect which many ASMR followers love. So all in all we are really pleased with the purchase. 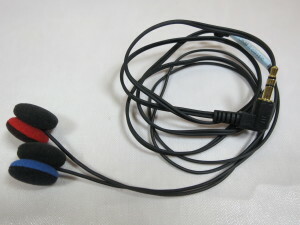 As boundary layer microphones – in other words, pop the head phones on a smooth surface and space approximately 5 to 10 cm apart. Great for conferences around a table for instance. The microphone comes in one of those round cases which I only just got the hang of using. So they can be easily thrown in a handbag, camera bag or even a pocket to carry around with you. Each ear bud has a colored rim – red for right and blue for left – so it’s easy to tell which is which. When using on a dummy head or your own head the colored part of the ear buds needs to face out. The OKM condenser microphones need DC powering. 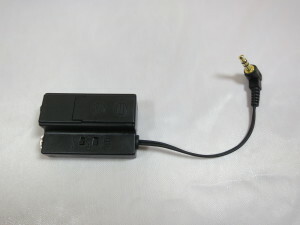 This can be sourced either through a microphone jack present on recording devices or through the enclosed A3 Adapter. The A3 will yield the best results when used on LINE inputs. With its automatic level adaptation, high microphone supply voltage and considerably low noise floor, the A3 offers a significantly greater increase in dynamic range when compared to the conventional direct connection to a microphone jack. When recording faint sounds, the OKM can be used on microphone inputs in conjunction with the A3. However, as a result of the smaller surface area of the microphone membrane, system inherent noise is a possibility. As such, care should be taken to avoid preamp clipping that may occur when the recording level control is set too low. To use the adapter, you simply plug the microphone into it and then plug the adapter into whatever recording device you might be using. In our case, we plug it into an iPad (using a Tascam adapter) or the Zoom H4n field recorder, which we have also purchased. The only issue I have with the adapter is that if you happen to leave the microphone plugged into it, it will drain the battery. As yet, we haven’t managed to do this, but it would be easy to do. So an on/off switch would be a nice addition here. In the video below, we run through how we use the microphone and go through a number of different sounds to test it out. How Do You Use the Microphone? 1. iPad – For it to work on an iPad or iPhone you need an adapter because you can’t just plug the microphone in – it simply won’t work. So we purchased a Tascam IXJ2 adapter. (Bear in mind that this adapter doesn’t work on the iPad 4 because the plug won’t fit the new design of that iPad but you can purchase an adaptor). Its simply a matter of plugging the Soundman microphone into the Tascam and then plugging the Tascam into the iPad. To record the sounds, we use the Garageband app. 2. Zoom H4n – I’ll probably write up a separate post about the Zoom H4n but for now I will just go through how we use it. The Zoom H4n is a field recorder so you don’t need any extra microphones in order to use it. You just switch it on, change any settings as needed and then press the record button. However, we want to use it in conjunction with the Soundman microphone and you can do that with the H4n. We plug the microphone into the back of the Zoom H4n and that works for us. However, plugging it into the back of the H4n disables the internal microphone on the H4n. Now we actually want to use both the internal Soundman microphone and the H4n together. In other words, we want to capture sounds from both the internal Zoom H4n microphone and the Soundman microphone at the same time. 3. 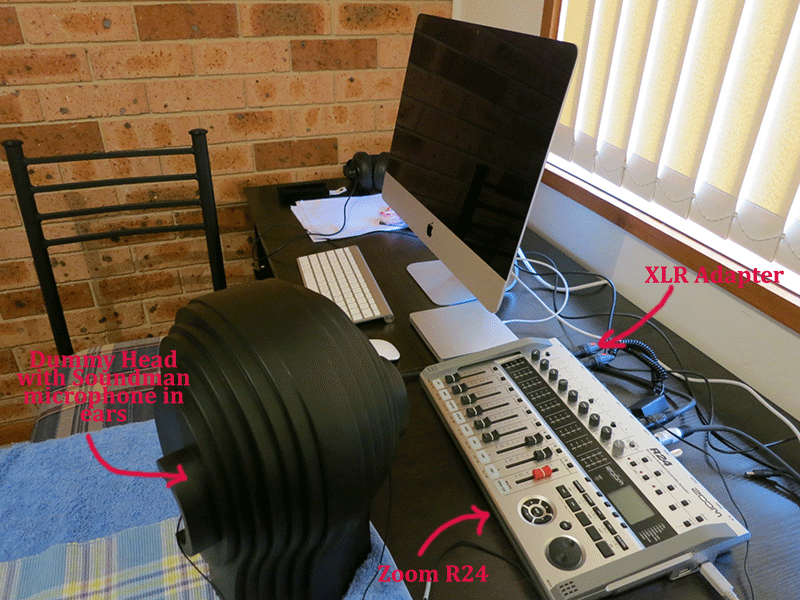 UPDATE – Zoom R24 – Since writing this blog post we have purchased a Zoom R24 which is a recorder and audio interface. So we now plug our Soundman microphone into the XLR inputs on the back of the Zoom R24 using the XLR adapter that we purchased. We then plug the Zoom R24 into a computer using a USB cable. videos we simply lay the microphones about 20cm from each other on a table so we decided that for our third video we would use the dummy head. It definitely makes a difference to the sound. The binaural effect is much more pronounced so we have stuck to using it on all our subsequent ASMR videos. The dummy head has holes in the ears so the microphones just fit into those really easily. As I already mentioned, I am no sound expert. All I can go by is how it all sounds to me at the end of the day when I am lying back and listening to our ASMR audios and at this stage I am liking it. We have had to do some sound removal for some of the videos but for most we have left them as is. We are still learning so will hopefully get better at this but for now, our subscribers on YouTube seem to be happy with it so that is a good sign. Where Can You Buy a Soundman Microphone? We purchased our Soundman microphone and dummy head on eBay. Here is the link to the eBay store . Hi there! In case ure wondering, im the same guy who commented on the youtube video about a day ago. 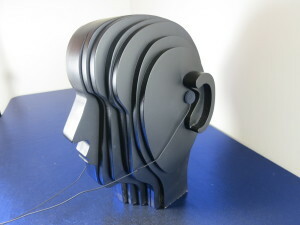 Im thinking of purchasing a pair of binaural mics for my research project. Before I buy one i have a couple of questions in my mind I would like to clarify. Secondly, about the necessary equipments needed to connect my microphones to a computer or maybe a smart phone. Suppose I purchase the model you featured in the youtube video, what accessories do I need to transfer recorded sounds directly to my computer (I am mostly recording sounds from a stationary position so I do not really need a portable storage device). Can I connect the mics directly to the mic jack in my computer? Thirdly about the sound file manipulation of the recorded audio. Will the recorded audio from the two mics be in a single inseparable folder or will they be recorded as two individual folders for each mic in each ear? Is there a way to manipulate the individual audio recorded in each mic seperately? Recording from 2 metres away shouldn’t be a problem with this mic. We have recorded sounds outside and can hear sounds from across the road quite easily and much further. As for the accuracy of the direction personally we are only concerned with whether the sound can be heard accurately in the left ear and the right ear which as you can hear from the test it does pretty well and would be able to do at 2 metres. We don’t worry too much about the back and front and diagonally etc, so we haven’t really tested it for that. You might want to talk to the manufacturer about this as they might be able to give you a better response. We have tried plugging the mic into the back of a Windows computer and using Audacity to record. It does work, but the sound seemed to be low. However, we really only played with it for 5 minutes so with adjustments of the settings it may work okay. Again, it might be worth talking to the manufacturer to see what they think but it looks like it is doable. We use Logic Pro to record our audio so we can set it up to record the left and right ear independently of each other so yes, we can manipulate the left and right ear. hey i just bought my okm classic 2, and i use Logic Pro 9 to record. Can you please tell me how do i record with logic pro 9, i use m-audio fastback pro, and i tried recording, but it just recorded like a normal mic, no binaural feel to it. We use an audio interface to record directly to the computer. So we use a Zoom R24. Your audio interface is the M-Audio Fastback so the steps should be the same I think. The OKM plugs into the Zoom R24 and the Zoom R24 plugs into the computer. – Under INPUT select the input. For example, on the Zoom R24 we would connect the OKM using inputs 1 and 2 so in Logic Pro we select Inputs 1&2 from the drop-down. – Under OUTPUT we select Output 1&2. 5. Now just press click the red record button at the top of the screen. That’s all we do so not sure why your M-Audio doesn’t create the binaural sound for you. Hey, thank you so much for this insightful review – the video sounds amazing. I’m trying to put together a setup like this but I’m not sure how well this goes together with a camera (Canon 550D) when trying to simulate me talking to the viewer/listener in person. What I mean is that the camera would really have to be where the dummy head’s face/eyes are. 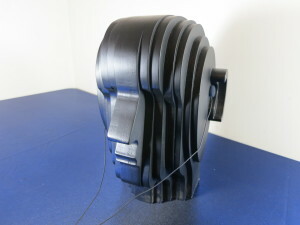 Do you maybe know of a dummy head like this that has free space in the face area to put a camera in, ideally without increasing the overall size and mass of the head setup to a point where the acoustics change? I imagine if I positioned a camera simply in front of this dummy head and talked to the camera for the video, the dummy head+microphones would be too far back to give accurate and realistic acoustics that resemble the attributes and sound location of me actually talking to someone directly in front of me, right? There’d be a disconnect between how far I am from the camera and how far I am from the dummy head+microphones. The only other option is to create a dummy head using one of those foam heads that you can buy at craft stores. You would be able to cut a portion out of the head to fit a camera in. Great review and it is very insightful! It’s nice to see the TASCAM iXJ2 online, it seems not many many people know about it. 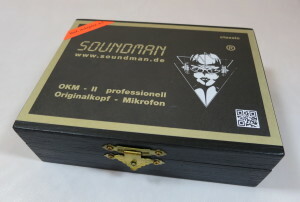 By any chance have you compared the Soundman OKM II with the Roland CS-10em mics? We haven’t tried the Roland yet but would love to. It’s on our wish list. I listened to your ASMR demos and I’m stunned , i’m almost foole by the recordings, thinking it is a real object next to my ears, really good mics! They are pretty awesome microphones that’s for sure. Hi! I’m new to ASMR, and I was reading your blog as you have a lot of helpful information (Thanks for sharing!) I am trying to figure out how to record my first video, as I have a very limited budget. All I can afford to buy is a microphone (Zoom H1 Handy Portable Digital Recorder), can I use an HD webcam connected to the computer, and also connect the microphone to the computer? what program should I use to record the video? I don’t really get how everything comes together… the video, the sound, I’m confused. The H1 is a recorder in it’s own right. So you don’t need a computer to record into it. But yes, you can plug it into a computer via a USB cable. When you do that, you are using it as an audio interface. So just Google “how to use a zoom h1 as an audio interface” and you should find video and written instructions on how to do that. You can definitely use your webcam. I’m not sure if the sound and video will sync automatically. It will depend on your webcam. So when you use your webcam does it give you an option to choose a microphone in the options? If yes, then you can select your Zoom H1.